There are many ways that you can make money when you own an inflatable bounce house rental business. 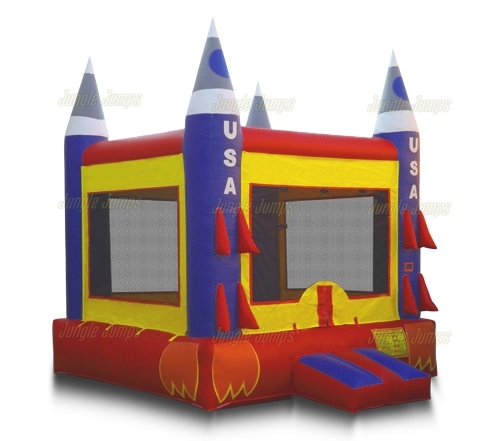 Unfortunately, most people believe that the only way you can earn an income from this type of business is to rent to parents who are looking to use the bounce house as entertainment for their child’s birthday party. By thinking outside of the box, however, you will find that you can earn a much bigger payday while, at the same time, spreading your name. When you purchased your commercial inflatable’s for sale you likely had never heard of an inflatable play area. An inflatable play area is where you set up a number of different inflatable units and allow children to use them all. You may see this type of play area at a small county fair, but they are actually becoming more and more prevalent thanks to the amount of money it’s possible to earn by simply setting one up. But how do you go about setting up an inflatable play area? First, you need a location. In order to set up an inflatable play area you need to find a location that you are allowed to use. Many bounce house rental business owners look to local parks, and that can be a good idea. Once you have found a location you will be to get some permits. In order to get permits simply go to the city or town office, explain what you’re going to do, and fill out the forms required. You may need to pay a fee to file these forms, and you may also need to pay a fee to use the area. Once you have your location, and your permit, it’s time to start advertising. Show pictures and videos of the commercial inflatable’s for sale that you have on social media websites and advertise where you are going to be, when you’re going to be there, and how much it is going to cost. Make sure you keep the cost low enough that families will believe the trip is worthwhile and high enough that you can make money as well. You may even want to make a deal with a local snacks vendor so that they can set up nearby allowing them to make money as children and their parents get hungry and thirsty using your equipment. When you first start looking at commercial inflatable bouncers for sale, it can be easy to get swept up in the excitement of starting your own business. Because of this many people overlook the fact that one of the most important parts of starting your own business is selecting the right inflatables. The correct assortment of inflatable units can make you money, while the wrong assortment will only cost you money. 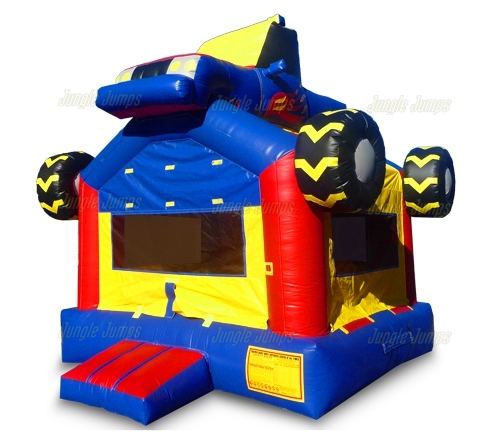 There are number of different types of inflatable units including bounce houses, bounce houses with slides which are often called combo units, waterslides, inflatable events such as sports games are obstacle courses, and even inflatable waterslides. Because you are start a business you will likely have a budget you need to stick to. It’s important for you to figure out what your budget is going to be before you start looking at the commercial inflatable bouncers for sale. This way you will know exactly how much you can afford to spend and can start planning accordingly. You will definitely need to have more than one unit if you want to make sure that your bounce house business is successful. 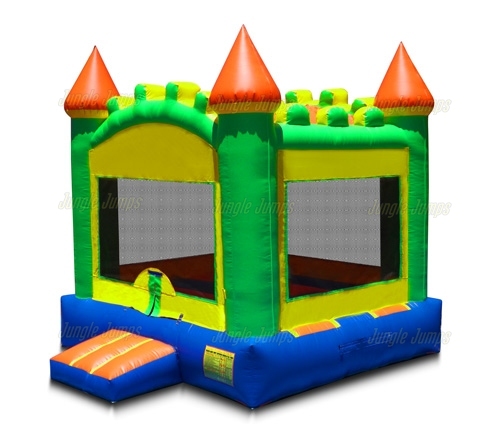 There are basically two different types of setups that most bounce house businesses start – the three unit company or the five unit company. 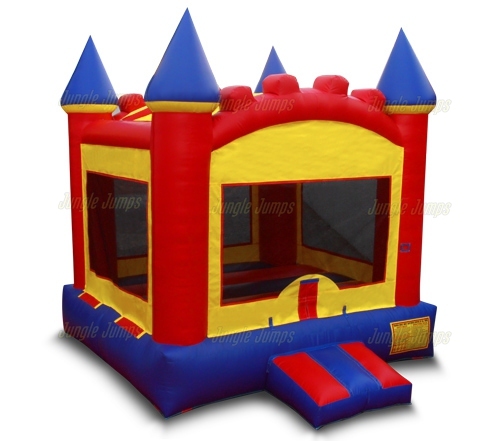 The three unit company generally consists of two bounce houses and a combo unit. 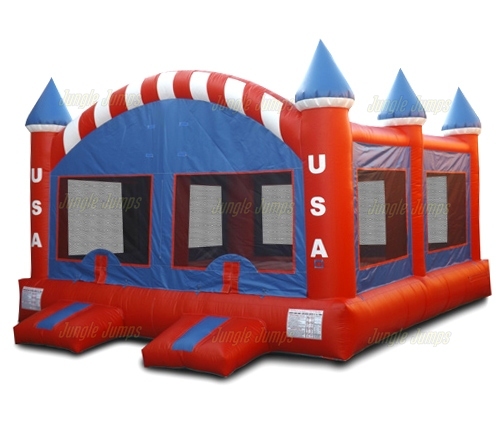 The five unit company generally consists of two bounce houses, to combo units, and a water slide. This does not mean that you are required to purchase these exact types of units for your company, but it is true that these are the best combinations that will give you the most flexibility. Basically it means that it’s the best way to make sure that your business appeals to everyone. If you are starting your bounce house business it is important to remember that you have a goal: to make sure that your business thrives so that you can expand, which means adding more units. Themes are not necessarily important, as having a number of themed units can be offputting to some customers. Instead focus on getting high quality, commercial inflatable bouncers for sale that you know that your customers are going to love. One of the hardest things for anyone who is starting their own business and who is never owned business before his trying to figure out how to market your business. There are many great things you can do in order to market your business, from creating high-quality business cards to paying for advertising, but in order to make sure your marketing truly works you need to do something that is unique. From the moment that you purchase that inflatable waterslide for sale, it is important that you make sure that you start thinking about different ways you can market your business. Here are a few different ways that you can market your business that are guaranteed to help get you more clients. What is the one thing that is guaranteed to be at every single location that you deliver a bounce house to? Your vehicle, of course. That means that the best way to make sure that your business is visible is to mark your vehicle. This is something that a lot of business owners do because not only does it allow you to get your business name seen all over the place without having to do any extra work, it also makes it easier for you to claim gas expenses, and vehicle expenses, on your taxes. In order to make sure that marketing your vehicle truly works it’s important to make sure that you put the sign somewhere on the vehicle that it will be easily visible, such as on one of the doors on the back windows. If you have a logo for your business make sure you include that as well, and make sure that you can see the writing from a good distance away. When you purchase your inflatable waterslide for sale, one of the things that you have to realize is that most of your sales are going to be at children’s birthday parties. One unique way to market your business that parents will find endearing is to bring goodie bags along with you. Goodie bags can be a very cheap way for you to not only make the children happy but for you also get your business noticed. Put your business cards in the goodie bags, or you can even go so far as to have your business name printed on the goodie bags, and give them out at the birthday party. When you work at a “normal” job you can relax the moment you get home. Once you walk to the doors of your very own castle you can take your shoes off, get into your comfy close, and forget, if you’d like, that you are employed. When you own a business, however, there is very little downtime. Yes, there will be plenty of hours in which you can sit back and watch a movie, but you have to constantly be available for your business, and if your business renting out bounce houses, it is required that you be available 24 hours a day. But how can you be available for your business without going completely insane? It is important to remember that you did not purchase the commercial inflatables for sale in order to have them sit on your lawn and look pretty. You purchase them in order to make money, and the only way you can make money is if you are able to rent them out. What do you do if you contacted business and they do not contact you back within 24 hours? You find another business. Bounce house rental businesses have become very popular in the past 10 years and chances are if someone contacts you and you do not contact them back within a reasonable amount of time they’re going to find someone who will. That is why it’s important to use modern technology to help you to stay connected and available at all times. Your cell phone is going to become your best friend. Yes, cell phones are fun for playing games on and are great for texting friends, but what you may not realize is that they are the business person’s best friend. A cell phone allows you to answer back a client, either via phone or email, at any hour of the day. You can even use today’s high-quality cell phones to look at commercial inflatables for sale when you get a moment during your busy day. Make sure your cell phone number is on all of your business cards and is clearly visible on your website and all the social media pages as well. Tablets are also a great way to keep in touch with your business. Because of their size tablets are able to be carried just about anywhere, and thankfully most places have wireless Internet access as well allowing you to be able to keep in touch with your customers, and to monitor your social media sites, anywhere you go. There are so many different ways that you can market your bounce house rental business that it is impossible to go over every single one. One thing that always astounds us is the fact that most people do not realize that it is the most simple marketing techniques that tend to garner the most attention rather than the most ornate and expensive ones. For instance, when you are looking at wholesale inflatables for sale were you even thinking about getting a banner? Banners can be a fantastic way for you to be able to advertise your business on a regular basis without spending very much money. There are all sorts of things that you can do to market your business, but one of the first things we suggest is investing in a high quality, colorful banner. There are so many things that you can do with a banner that is imperative that you purchase one soon after you start your business. First, before you purchase any banners it’s a good idea to make sure that you have some branding in place. Business branding helps make it easier for clients to differentiate between your business and someone else’s. That’s why it’s important to get a great is this name and possibly even a great logo. A slogan is also a very important idea as well. So what can you do with a banner? First, always make sure that any bounce units that you are renting out has your banner attached to it. This not only catches the attention of anyone who was invited to the party the bounce house was rented for, it also catches the attention of anyone who may be nearby. This is especially important if you happen to be setting up in a wide-open area. You can also use your banner at your house as well. Poster banner up on one of the walls of your house when you do not have any rental scheduled. Again, a catches the attention of people and is almost completely free advertising. As to where to get the banners, most experts recommend working with a local printing company rather than working with an online simply because it is easier to verify the quality of your banner. So remember, after you purchase inflatables for sale, make sure you look into getting a banner.